Doctor of Philosophy, Counselor Education. Ohio University, Athens, Ohio. 1996. Dissertation title:An analysis of interactional patterns and influence strategies and their relationship to gender in the clinical supervisory dyad. Master of Science, Mental Health Counseling, Stetson University, DeLand, FL. 1993. Master of Arts, Political Science, Stetson University, DeLand, Florida. 1990. Bachelor of Arts, Political Science, Stetson University, DeLand, Florida. 1987. Professor, Counselor Education. The Ohio State University. Autumn 2010 to present. Director, OSU Campus Suicide Prevention Program. Autumn 2006 to present. Adjunct Appointment, OSU Counseling and Consultation Service. March 2011 to present. Assistant Professor, Counselor Education. The Ohio State University. 1996-2000. Director of Adult Mental Health Track, Worthington Psychiatric Associates, Parkersburg, West Virginia. September 1995 to August 1996. Counselor, Worthington Psychiatric Associates, Parkersburg, West Virginia. August 1995 to August 1996. Recipient. OSU Alumni Award for Distinguished Teaching. This award is the “highest honor given to OSU faculty.” The Distinguished Teaching Award recognizes “superior teaching and [faculty are] nominated by present and former students and colleagues and selected by a committee of alumni, students, and faculty” Inducted into the University’s Academy of Teaching. 2011. Founding Member. School of PAES Faculty Teaching Academy. Inducted into the academy that recognizes faculty in the OSU School of PAES who work to constantly improve their teaching. 2010. Article citation: Worthington, R. L., Soth-McNett, A. M., & Moreno, M. V. (2007). Multicultural counseling competencies research: A 20-year content analysis. Journal of Counseling Psychology, 54(4), 351-361. Recipient, Ohio Counseling Association Chuck Weaver Award for long & distinguished service to the counseling profession and exemplary caring for people. 2010. Recipient, OSU College of Education “Distinguished Teaching Award” 2005. Recipient, Ohio University Counselor Education Program “George E. Hill Memorial Award.” Presented each year to a distinguished alumnus of the program, for scholarship, service, and leadership in the profession. 2005. Recipient, American Counseling Association Research Award. Presented at the 2003 ACA Conference in Anaheim, CA, for outstanding research article published in an ACA journal during 2002. Recipient, “Senior Faculty Research Award,” School of Physical Activity and Educational Services, College of Education. The Ohio State University. May, 2001. Recipient, “Research Award,” Association for Counselor Education and Supervision (ACES), a division of the American Counseling Association, for research on the cognitive development of practicing counselors. 1999. Recipient, “Faculty Teaching Award,” School of Physical Activity and Educational Services, College of Education, The Ohio State University. April, 1999. Recipient, “Donald Green Outstanding Student Award,” Ohio University, Athens, 1996. Awarded by the Counselor Education Department. Recipient, “J. Melvin Witmer Award for Creative Altruism,” Ohio University Counselor Education Program, Athens, 1995. Recipient, “Outstanding Graduate Student Counselor Education” Stetson University, DeLand, Florida. 1993. Recipient, “Woman of Promise” Award. 1987. Awarded by Good Housekeeping Magazine. 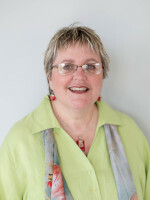 Selected as one of the top 100 women in a nationwide search of the 1987 college senior class. The article, “Women of Promise,” appeared in the July 1987 edition. Recipient, United Nations Association Peace Medal. 1987. Awarded by the United Nations Association. Given for work to promote international peace through understanding. County of Volusia, Florida. January, 1987. City of DeLand, Florida. November, 1986. Risk Assessment Treatment Planning for Chemically Dependent Adolescents. “Suicide Prevention and Intervention; Information for Counselors.” Universidad Iberoamericana. Mexico City. October, 2012. “Suicide Prevention Programming in the Schools.” Mexican Counseling Association. Mexico City. October, 2012. “Counseling Suicidal Students in Schools.” Mexican Counseling Association. Mexico City, October, 2012. “Suicide Prevention, Assessment, Intervention, and Research.” Co-presenter. Two day workshop (each day was 10-hours of programming). Taipei, Taiwan. National Taipei College of Nursing. November, 2009. “Suicide Prevention: Living in Order to Live Life Fully.” International Counselling Conference. Cork, Ireland. July, 2007. “Suicide Risk Assessment.” International Conference on Counselling. Brisbane, Australia, July, 2006. “Suicide Prevention and Intervention.” Mental Health Association. Brisbane, Australia. July, 2006 (3 hours). “Suicide: Essential Information for Counselors" Canadian Counseling Association National Conference, Halifax, Nova Scotia, May 2003. “Using Cognitive and Affective Taxonomies to Affirm Diverse Learning Styles.” Association for Counselor Education and Supervision National Conference. Denver, CO. October 2013. “Leadership in Counselor Education: An Individualized Learning Contract Approach to Leadership Development.” Association for Counselor Education and Supervision National Conference. Denver, CO. October 2013. “ Training School Counselors to Conduct Suicide Prevention Gatekeeper Trainings in their Schools.” Association for Counselor Education and Supervision National Conference. Denver, CO. October 2013. “Suicide Resources and Information for Counselors and Counselor Educators.” Association for Counselor Education and Supervision National Conference. Denver, CO. October 2013. Suicide Prevention, Assessment, and Treatment: Practical Assistance for Counselors.” Pre-conference presentation at the American Counseling Association (ACA) International Conference. Cincinnati, OH. March 2013. “Clinical Techniques for Managing Suicidal Clients.” The American Counseling Association (ACA) International Conference. Cincinnati, OH. March, 2013. “A Longitudinal Study of Counselor Cognitive Complexity: Results of 10 Years of Research on Counseling Students.” The American Counseling Association (ACA) International Conference. Cincinnati, OH. March, 2013. “Suicide Prevention, Assessment, and Treatment: Practical Assistance for Counselors.” Pre-conference presentation at the American Counseling Association (ACA) International Conference. San Francisco, CA. March 2012. “Using Bloom’s Taxonomy to Enhance Supervisee Cognitive Development.” American Counseling Association (ACA) International Conference. San Francisco, CA. March 2012. “Promoting the Development of Professional Identity in Introductory Courses.” Association for Counselor Education and Supervision National Conference. Nashville, TN. October, 2011. “Suicide: Information and Resources that Counselor Educators & Supervisors Need to Know.” Association for Counselor Education and Supervision National Conference. Nashville, TN. October, 2011. “Creating partnerships for systemic change.” Substance Abuse Mental Health Services Administration National Conference on Suicide Prevention. Bethesda, MD. January, 2011. “Suicide Prevention, Assessment, and Treatment: Practical Assistance for Counselors.” Pre-conference presentation at the American Counseling Association (ACA) International Conference. New Orleans, LA. March 2011. “Clinical Techniques for Managing Suicidal Clients.” The American Counseling Association (ACA) International Conference. New Orleans, LA. March, 2011. “Suicide Prevention Gatekeeper Programs on College Campuses: What is the Long-Term Impact of Training” The American Counseling Association (ACA) International Conference. New Orleans, LA. March, 2011. “Suicide Prevention, Assessment, and Treatment: Practical Assistance for Counselors.” Pre-conference presentation at the American Counseling Association (ACA) International Conference. Pittsburgh, PA. March, 2010. “Clinical Techniques for Managing Suicidal Clients.” The American Counseling Association (ACA) International Conference. Pittsburgh, PA. March, 2010. “Enhancing Multicultural Competence in Supervision: The Synergistic Model of Multicultural Supervision (SMMS).” The American Counseling Association (ACA) International Conference. Pittsburgh, PA. March, 2010. “Suicide Prevention Gatekeeper Follow-up: Results of a University Study.” Substance Abuse Mental Health Administration Conference. Orlando, FL. February, 2010. “Suicide Gatekeepers on College Campuses”. Lilly Conference on College Teaching. Miami, Ohio. November, 2009. “Suicide: What Counselor Educators Need to Know.” Association for Counselor Education & Supervision National Conference. San Diego, CA. October, 2009. “Learning Contracts in Counselor Education Leadership Courses.” Association for Counselor Education and Supervision National Conference. San Diego, CA. October, 2009. “Suicide Prevention, Assessment, and Treatment: Practical Assistance for Counselors.” Pre-conference presentation at The American Counseling Association (ACA) International Conference. Charlotte, NC. March, 2009. “Suicide Gatekeepers on College Campuses.” Lilly Conference on College Teaching. Miami, Ohio, November, 2008. “Suicide Risk Assessment: The Cornerstone of Intervention.” American College Counseling Association Conference. Savannah, Georgia, February, 2008. “Clinical Techniques for Managing Suicidal Clients.” All Ohio Counselors Conference. (AOCC). Columbus, Ohio. November, 2013. “Enhancing Cognitive Complexity in Graduate Level Writing.” All Ohio Counselors Conference. (AOCC). Columbus, Ohio. November, 2013. “Suicide Prevention, Assessment, and Intervention: Practical Information for Counselors.” All Ohio Counselors Conference (AOCC). All Day (6 hour) pre-conference workshop. Columbus, Ohio. November, 2012. “Clinical Techniques for Managing Suicidal Clients.” All Ohio Counselors Conference (AOCC). Columbus, Ohio. November, 2012. “Suicide Gatekeeper Training.” All Ohio Counselors Conference (AOCC). Columbus, Ohio. November, 2011. “Clinical Techniques for Managing Suicidal Clients.” All Ohio Counselors Conference (AOCC). Columbus, Ohio. November, 2011. “Promoting Cognitive Complexity in Supervision.” Ohio Association of Counselor Education and Supervision (OACES) Conference. Columbus, Ohio. April, 2011. “Suicide prevention and gatekeeper training for middle and high school personnel.” (presented 2x). Ohio Career-Based Intervention Strategies Conference. Columbus, Ohio. May, 2011. “Suicide Gatekeeper Training.” All Ohio Counselors Conference (AOCC). Columbus, Ohio. November, 2010. “Clinical Techniques for Managing Suicidal Clients.” All Ohio Counselors Conference (AOCC). Columbus, Ohio. November, 2010. “Enhancing Multicultural Competence in Supervision: The Synergistic Model of Multicultural Supervision (SMMS). All Ohio Counselors Conference. November, 2009. “Suicide Gatekeeper Training.” All Ohio Counselors Conference (AOCC). Columbus, Ohio. November, 2009. “Enhancing Multicultural Competence in Supervision: The Synergistic Model of Multicultural Supervision (SMMS)” Ohio Association of Counselor Education and Supervision (OACES) Conference. Columbus, Ohio. April, 2009. "Supervision: Using Cognitive Complexity to Promote Professional Identity" Ohio Association of Counselor Education and Supervision (OACES) Conference. Columbus, Ohio. April, 2009. “Suicide Gatekeeper Training.” All Ohio Counselors Conference (AOCC). Columbus, Ohio. November, 2008. Granello, D. H., & Young, M. E. (2012). Counseling Today: Foundations of Professional Identity. Boston: Pearson. Juhnke, G. A., Granello, D. H., & Granello, P. F. (2011). Suicide, self-injury, and violence in the schools: Assessment, prevention, and intervention strategies. Los Angeles: Wiley. Granello, D. H., & Granello, P. F. (2007). Suicide: An essential guide for helping professionals and educators. Boston: Allyn & Bacon. Borders, L. D., Wester, K. L., Granello, D. H., Chang, C. Y., Hayes, D. G., Pepperell, J., & Spurgeon, S. L. (2012). ACES Guidelines for Research Mentorship: Development and implementation. Counselor Education and Supervision, 51, 162-175. Ober, A., Granello, D. H., & Wheaton, J. E. (2012). Grief counseling: An investigation of counselors’ training, experience, and competencies. Journal of Counseling and Development, 90, 150-159. Schools often react poorly to student suicide. (2011). Report on findings of Ohio State researchers, Dr. Darcy Granello. Annals of the American Psychotherapy Association, 14, 9-10. Granello, D. H. (2010). A suicide crisis intervention model with 25 practical strategies for implementation. Journal of Mental Health Counseling, 32(3), 218-235. Granello, D. H. (2010). The process of suicide risk assessment: Twelve core principles. Journal of Counseling and Development, 88, 363-371. Granello, D. H. (2010). Cognitive complexity among practicing counselors: How thinking changes with experience. Journal of Counseling and Development, 88, 92-100. Hayes, D., & Granello, D. H. (2009). Use of the Minnesota Multiphasic Personality Inventory-2 with persons diagnosed with Multiple Sclerosis. Journal of Counseling and Development, 87 (2) 227-233. Ober, A. M., Granello, D. H., & Henfield, M. (2009). A synergistic model to enhance multicultural competence in supervision. Counselor Education and Supervision, 48, 204-221. Macdonald, L., Pelling, N., & Granello, D. H. (2009).Suicide: A biopsychosocial approach. Psychotherapy in Australia, 15(2), 62-72. Granello, D. H., Kindsvatter, A., Granello, P. F., Underfer-Babalis, J., & Hartwig-Moorhead, H. (2008). Multiple perspectives in supervision: Using a peer consultation model to enhance supervisor development. Counselor Education and Supervision, 48, 32-47. Kindsvatter, A., Granello, D. H., & Onedera, J. D. (2008). Cognitive techniques as a means for facilitating supervisee development. Counselor Education and Supervision, 47, 179-192.